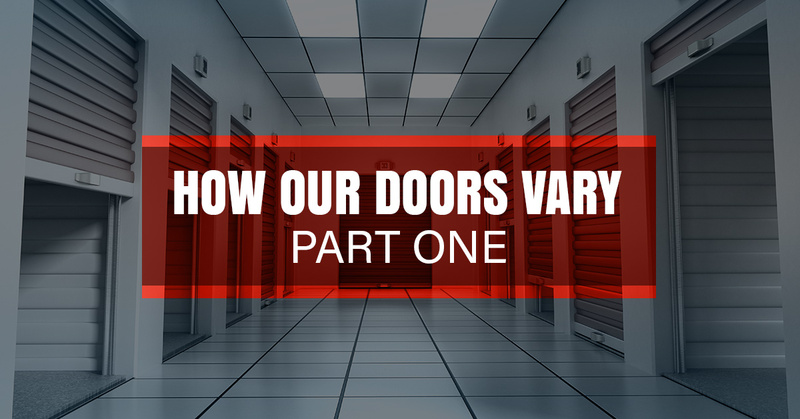 Picking the right roller shutter door, rolling door, and security grille, for your establishment can be just as important as deciding on other aspects of your business. From picking the name to the color scheme, your choice of security is just as vital. It might not be as enjoyable of a choice to make as some other decisions, but it’s still an important resolution to come to that will be the catalyst for your business to stay in tip-top shape. At United Steel Products, we offer roller shutter doors, rolling doors, and security grilles, all of which come in a variety of types and products. However, how do you know which one to pick? What’s the difference between a roller shutter door or a rolling door? Let’s find out below! We offer the Model 550 for roller shutter doors. The Model 550 is one of the best roller shutter doors because it has all of the specifications you could need to keep your facility safe from outside forces. This Model is made up of galvanized steel, aluminum, and sturdy paint. Unlike the rolling door and the security grilles, a roller shutter door offers many additional options you can add to it to make it much more durable and able to meet your expectations. Roller shutter doors are made up of horizontal slats that are put together by hinges, creating a shutter-like appearance. It raises and lowers in a motorized fashion. These doors are great against securing your facility against inclement weather such as the wind, hail, and rain. Unlike our other options, the roller shutter door is created for prisons, warehouses, garages, kitchens, and schools. You can also choose to build the roller shutter door in or on your facility. The rolling door is a type of commercial garage door. It’s perfect for facilities that are larger such as warehouses. These doors are made out of metal, generally steel, and are ideal for establishments that need doors that move upward. At United Steel, we offer an abundance of these rolling doors. These doors are different from other styles we offer because they are folding commercial ones. They are made of a strong material, are usually in one piece, are long lasting, and very sturdy. Unlike other types of options you might have for your commercial business, these folding commercial doors are made to be constantly used so they don’t get stuck as often. Rolling doors are perfect for commercial warehouses, storage buildings, and parking garages, to name a few facilities that would benefit from them. Rolling security grilles are beneficial for those who have storefronts that are in open areas such as stores in malls and pharmacies. These doors are meant to keep people out from forcing their entry into the store. They are used for exterior openings and for closing off areas in a building. Additionally, when there is glass in your store they will be used behind the glass storefront so if someone were to try to smash and grab something in your store it would be prevented. These doors differ from our other models because they have tiny spaces in the door instead of being completely closed off. You wouldn’t want to use this door in a store that’s out in the open on the street. To learn more about roller shutter doors and other products we offer, continue to read our blog.